PORSCHE 356 SUPERFLOW EXHAUST SYSTEM, TWIN PIPES. 1. Flanges Pipes for Easier Fitting. 2. Twin 50.8mm O.D. 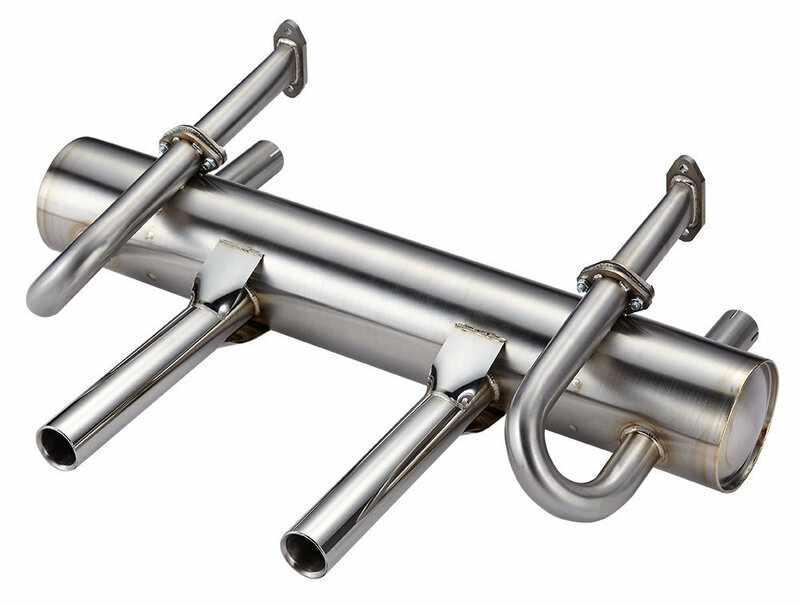 Tail Pipes Sport Muffler. 3. 100% #304 stainless steel muffler, tail pipes and headers. 4. Fit Original Heater Boxes. 5. No gasket in the kit.